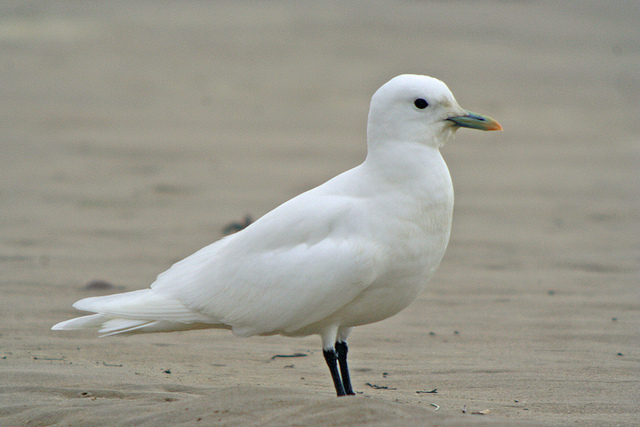 The Ivory Gull is notable for its white colour. 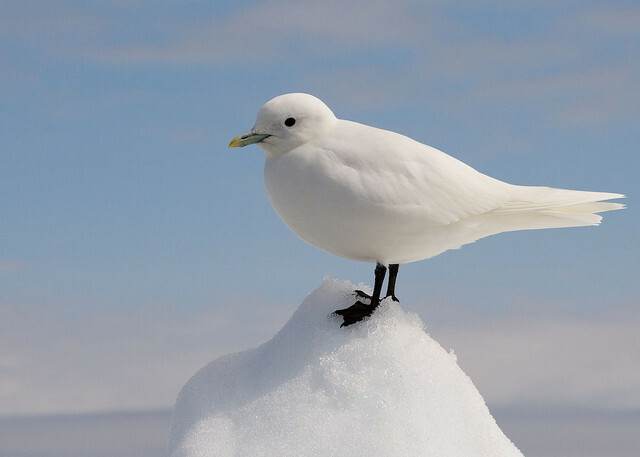 Most gulls have gray on the wings, but the Ivory Gull is entirely white. It breeds in the far north of America.